Chest items rewarded by quests and achievements. 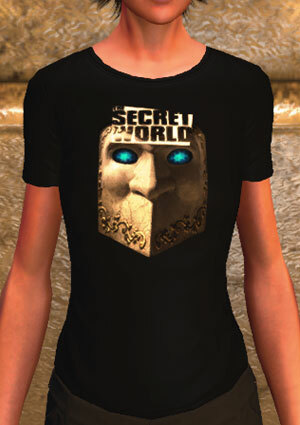 Nightmare in the Dream Palace t-shirt is rewarded by the “Issue 10: Nightmare in the Dream Palace” achievement in Issues, Missions. Requires the player to complete all non-item missions in Issue 10. 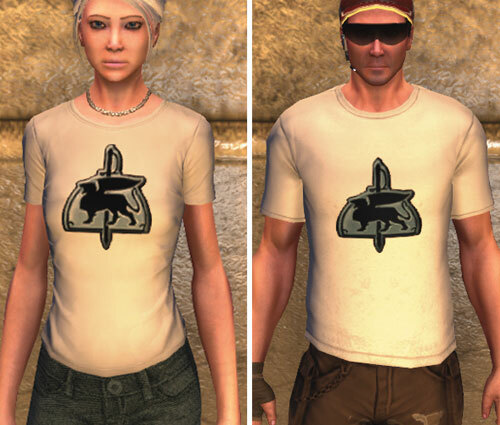 Thank you Chosen-Blood and Aphidia for the screenshots! 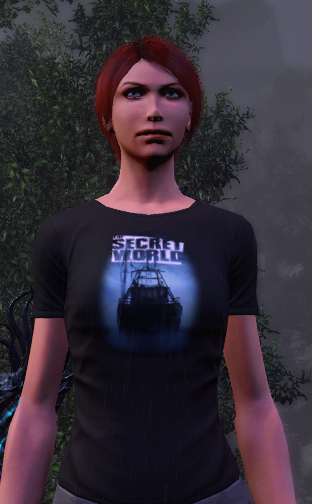 Thank you Rumikolol and Chosen-Blood for the screenshot! 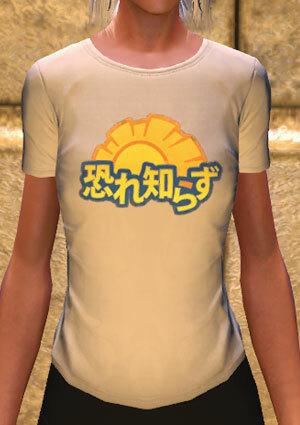 The Fear Nothing English t-shirt can be found in lockers during the “Pachinko Model” mission. 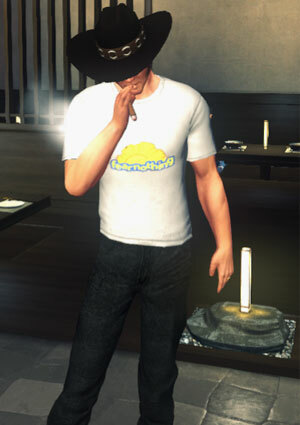 The other version is a Fear Nothing Kanji shirt, white. 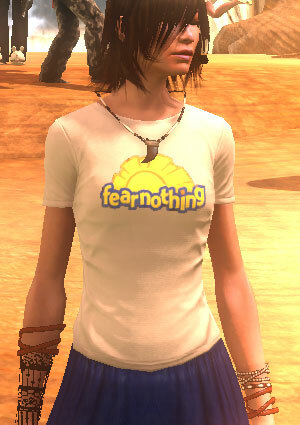 Note: The Fear Nothing shirts are in specific lockers. As lockers are random, you don’t always get the lockers containing them. Running back out and in will reset the locker randomization, so you can keep exiting until you get them. The Fear Nothing English version in a locker on the right side. 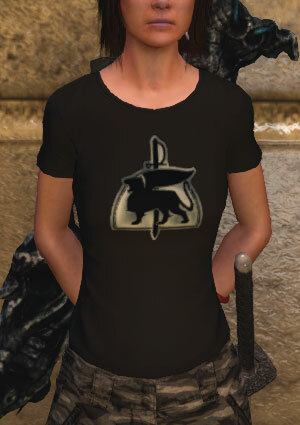 Thank you Tally, Simondedalus and Vomher for the screenshots and details! 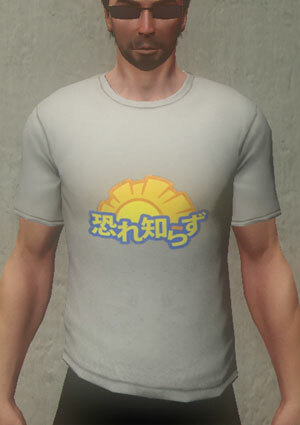 The Fear Nothing Kanji shirt, white can be randomly found in a locker during the “Pachinko Model” mission. 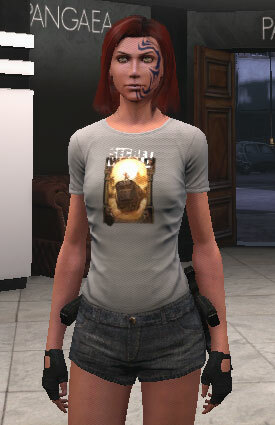 There is also a Fear Nothing English t-shirt. 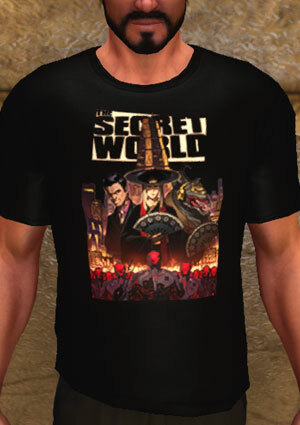 This shirt is in the bottom third-to-last locker on the left wall. 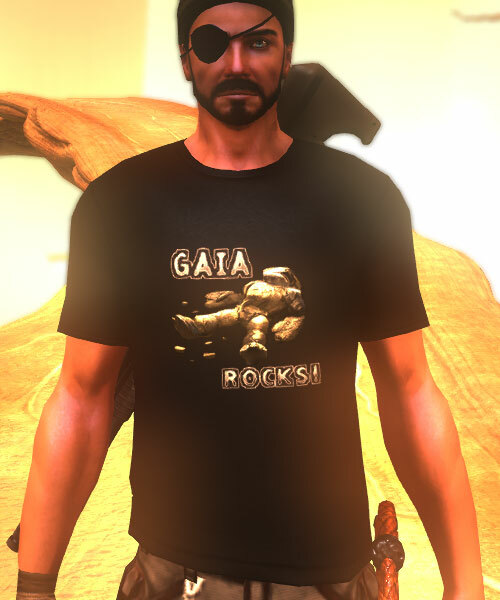 Thank you Burrick, Vomher and Rumikolol for the screenshots and details! Reward for the scenario achievement Warrior’s of the Dawn which requires completing all scenarios on a Group Normal settings. Thank you Katelin and Makidai for the screenshots! 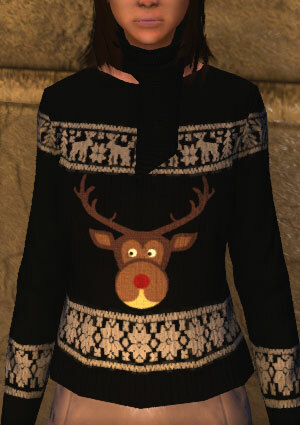 Rewarded by the Lord of Misrule achievement during the Christmas 2013 event. Thank you PuzzyCat for the screenshot. 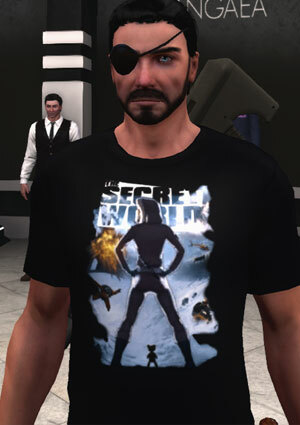 Rewarded by the achievement The Venetian Agenda which requires the completion of all the Issue 8 story line missions. 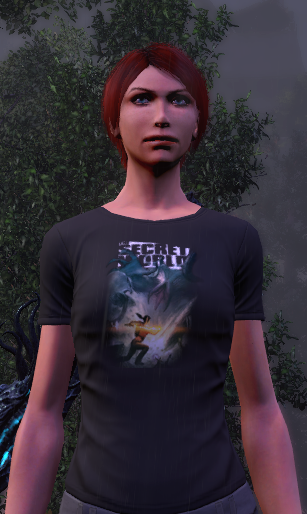 Reward for the Scenarios achievement Your Shadow Striding Behind You which requires completing all scenarios on Solo Normal/Elite and Duo Normal/Elite settings. Thank you Elil and Naite for the screenshots! Rewarded by Keeper of Urban Mythos which requires you to collect all of the pages for Danny’s Urban Legends book. Thank you Arivine and Naite for the screenshots! Note: Each page is given as a reward for running the associated story mission. Thank you Xaxanos for the screenshot! 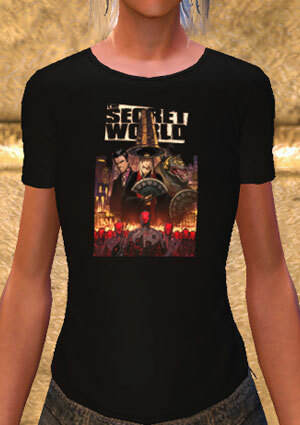 The Teddy Saviour T-shirt is a reward from the Covert Cryptographer achievement in Issue 7. 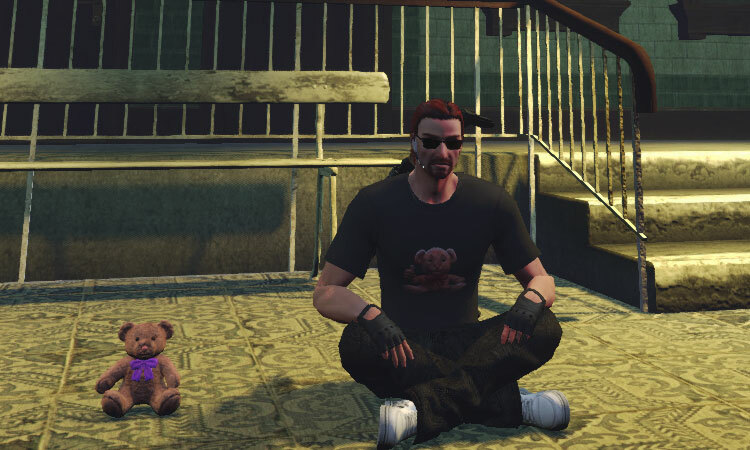 You have the opportunity to get a toy bear while doing the whiteboard part of the “I Walk Into Empty” mission. Note: The toy rewarded is random. Confirmed bears are Raggy (above), Ruffy, Einstein and Spencer; not sure if there are other bears. The toy does not follow like a “pet,” instead they will remain where summoned and then fall forward before despawning when the player moves away. 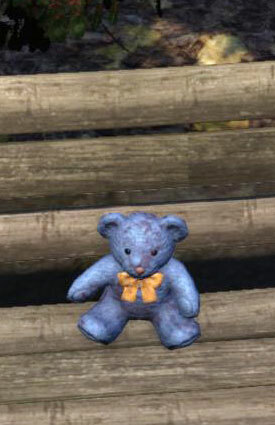 Each bear is tagged as Unique, but with some luck you can eventually collect different ones. If you really, really want some hints, spoilers are on the forums. Read at your own risk! Thank you Cola, Vomher and Claudia for the screenshots! 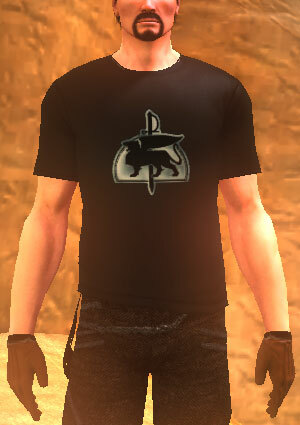 T-shirt reward for completing The Bigger They Are achievement during the 1st Anniversary event. This requires killing all of the Guardians of Gaia. Thank you Xexanos for the screenshot! 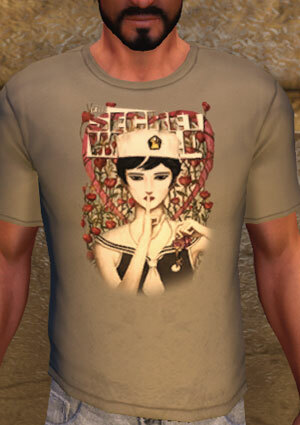 T-shirt reward for completing the Last Train to Cairo missions. Thank you Avishai for the screenshot! Thank you Morven for the screenshot!